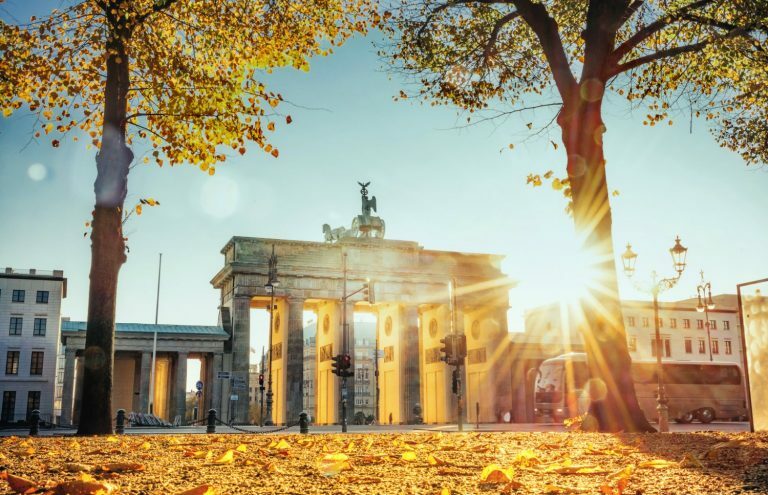 Berlin, the reunited capital of Germany, is a green and spacious city. Due to its history, it has two city centres – and more bridges than Venice. In 2016, the city staged 137,500 events with 11.5 million participants, its efforts and success in the conference and events industry securing its position in the top 5 of the International Congress and Convention Association (ICCA) world rankings. 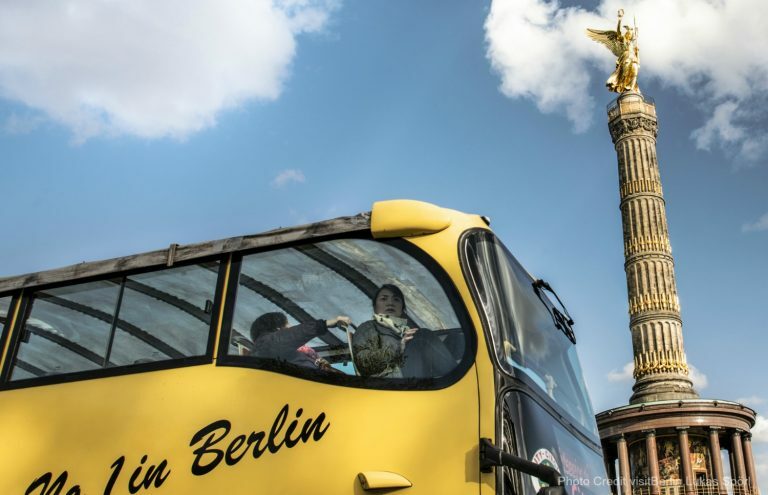 This accolade is one of many for the Berlin Convention Office of visitberlin, which has been the official convention bureau of the convention and meeting metropolis Berlin since 2001, promotion the capital as a convention, meetings and incentive location all over the world. 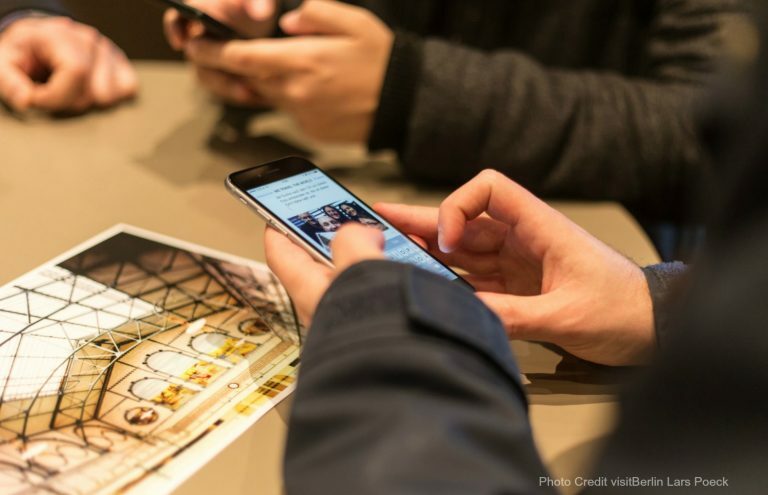 Offering visitors and delegates everything from history to state-of-the-art tech, Berlin has something to offer everyone. Since 2005, the city has boasted the UNESCO title of ‘City of Design’. It was also the first German city to become a member of a global network of creative cities, founded by the UN Educational Scientific and Cultural Organisation. 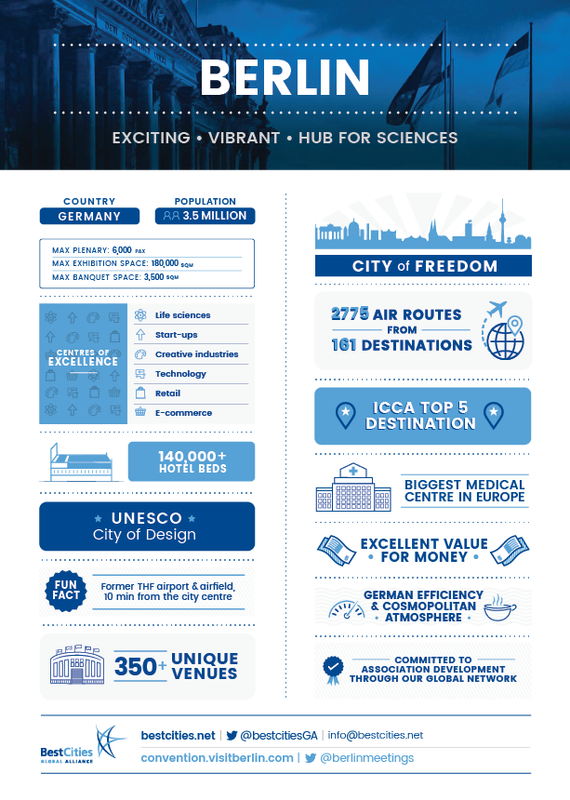 As the largest science centre in Europe, supported by a network of 300 universities, research institutions and technology parks, the city is utilising this network to meet challenges in the global race for know-how and innovation, particularly in the fields of biotechnologies and medical sciences. Major venues such as the CityCube Berlin, offer the perfect stage for world-class events. Equipped with the latest technology and with room for 30,000+ events, CityCube plus the adjacent tradefair grounds are one of many unique locations; from 368 metre high television tower, meeting in a former swimming pool or in Germany’s largest hotel – the Estrel – with 25.000 sqm of multifunctional event space, there will be somewhere to fit every brief. Click here to download images of Berlin.